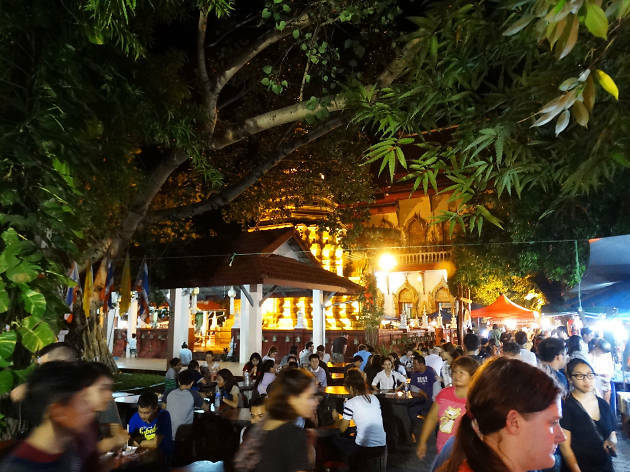 Looking for the best things to do in Chiang Mai? Visit temples or enjoy a photo workshop in this cultural city. 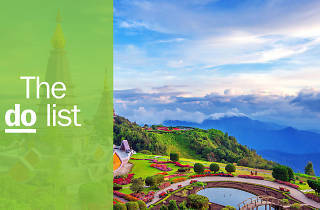 There are so many things to do in Chiang Mai. Bundled in a broad valley, ringed by some of the highest mountains in the country and cut by the grand Mae Ping River, the city often feels more like a large village than Thailand's second city. 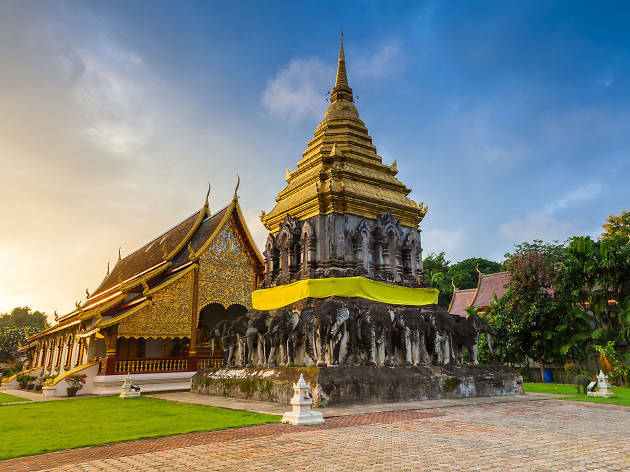 As the seat of the ancient Lanna Kingdom, with cultural treasures on almost every corner, Chiang Mai is infused with a meaningful sense of history, not to mention some of the country's most exciting cuisine. It's also one of Asia's coolest creative hubs, home to stylish boutique hotels, hip cafés, leafy co-working spaces and a large university population. What is it? Photography tours with renowned, Kiwi-Thai husband and wife team Kevin and Pansa Landwer-Johan. Why go? Whether you're a budding Annie Leibovitz with professional equipment or an avid Instagrammer, these intimate workshops will help to bring your photography game into sharper focus. Groups are small and the tour takes you off the beaten track to places like Wat U Mong Thera Jan, an ancient temple set in shadowy stone tunnels in a sun-dappled forest. What is it? 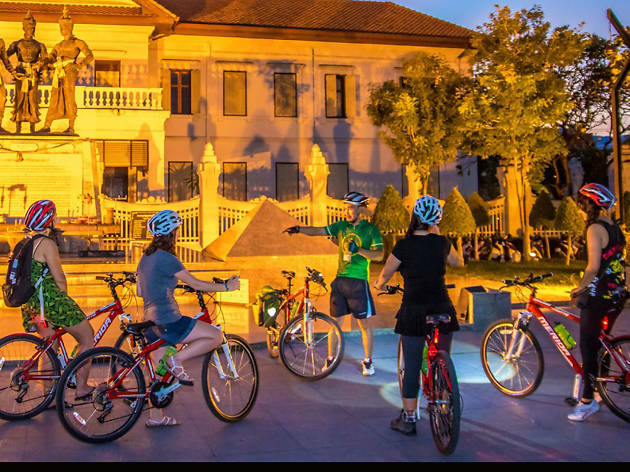 An easy three-hour cycling tour criss-crossing Chiang Mai's enigmatic Old City with pit stops at some of the district's most famous landmarks. Why go? Ready to get peddling? 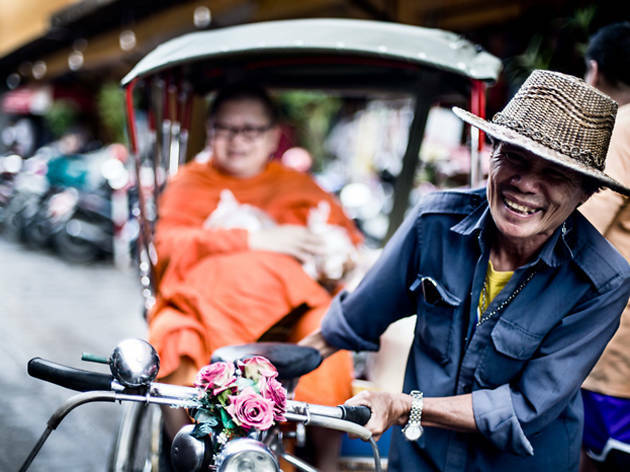 The flat, frangipani-shaded streets loaded with history make Chiang Mai's Old City perfect for a leisurely wheel about. 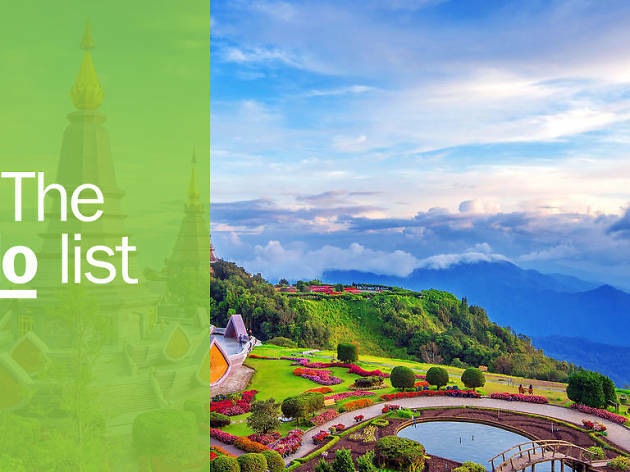 Let Grasshopper Adventures steer you in the right direction, from the 1,000-year-old Tha Phae Gate to the City Navel and its bright white Buddha, then on to vibrant Somphet Market where you can pick up delicious fruits and vegetables. What is it? The oldest temple in town, dating back to the foundation of the city in 1296 under the reign of King Mengrai. Why go? Set amid peaceful gardens, this temple complex's most fascinating attraction is its elephant chedi – its enormous bell-shaped base seemingly supported by 15 life-size stone elephants. Elsewhere, the main ordination hall is a vision of carved teak, kaleidoscopic murals and tiered roofs, while one of the smaller worshipping halls contains a 10cm-tall crystal Buddha thought to have originated some 1,800 years ago. What is it? 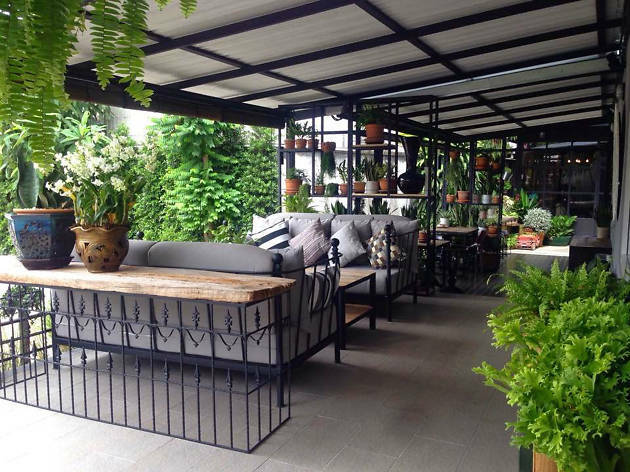 A flora-filled café, art gallery and lifestyle store. Why go? For the cake; red velvet, rainbow, chili chocolate and buttercream fairies all piled high on silver stands. Woo Café also serves a great selection of Thai and Western dishes – cobb salad, chicken with chili and chunky cashew nuts, creamy prawn noodle curry – and tip-top coffee. Pick up beautifully packaged herbs, spices, soaps and candles from the store. What is it? The chance to have an informal conversation with Buddhist monks and novices while helping them to improve their English. Why go? Chiang Mai's best-known Monk Chat is held at mountainside monastery Wat Phra That Doi Suthep, Monday to Friday from 5pm to 7pm. Drop-ins are free (although donations are expected on all temple visits) and guests can ask their new saffron-robed friends about anything they want – religion, football, love, Lanna culture, the meaning of life – fire away. What is it? A massage centre in which the therapists are female prison inmates learning new skills to aid their rehabilitation and release. Why go? The massages are fantastic – an hour of traditional Thai stretching, bending, kneading and elbowing for a very reasonable price, precisely performed by therapists in a breezy communal hall. Appointments are given on a first-come-first-served basis so get there for opening at 8am or be prepared to hang out for a while in the centre's lovely garden café. What is it? 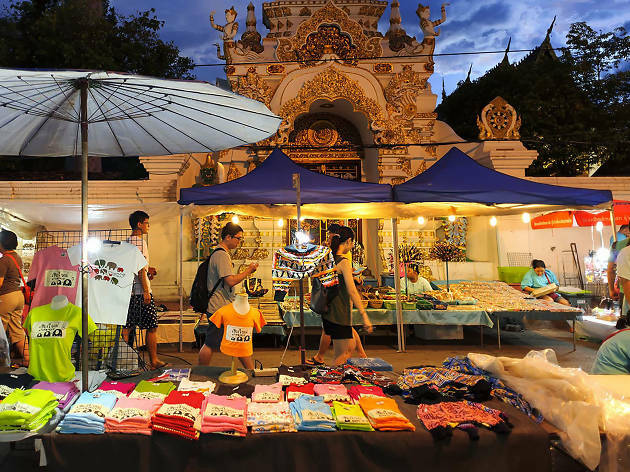 Chiang Mai's biggest and busiest night market, spanning over a kilometre from Tha Pae Gate to Ratchadamnoen Avenue. Why go? Sprawling through the centre of the Old City, this action-packed night bazaar welcomes visitors with juicy skewers of chicken, spicy sausage, bowls of green curry, crispy insects, cold beers, fresh coconuts and salty-sweet mango sticky rice. Afterwards, shop for handicrafts, trinkets and souvenirs. What is it? Also known as the silver temple, Wat Srisuphan is one of Thailand's blingiest wats, with a shimmering exterior clad in hand-crafted silver, nickel and aluminium. Why go? 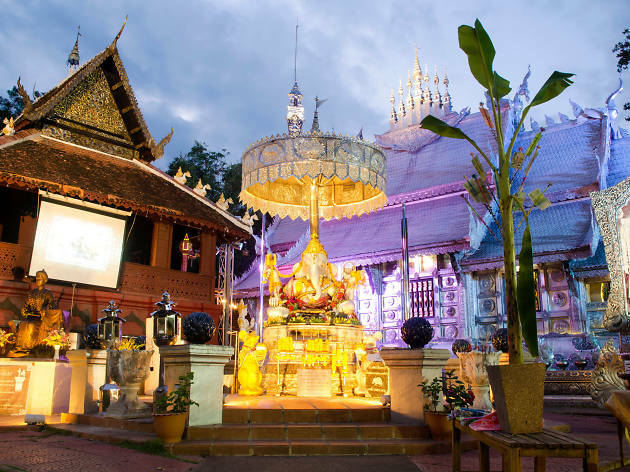 While Wat Srisuphan isn't one of Chiang Mai's grandest temples (or one of its oldest) but its radiant, lacy silver façade makes it one of the most fairytale-like temples you’ll ever see. Zoom in on the intricate embossing and you'll spot modern additions such as the Eiffel Tower, Hagia Sophia and Superman among the Taoist, Buddhist and Hindu imagery. Follow the sound of tapping to see in-house silversmiths fashioning new panels out back. 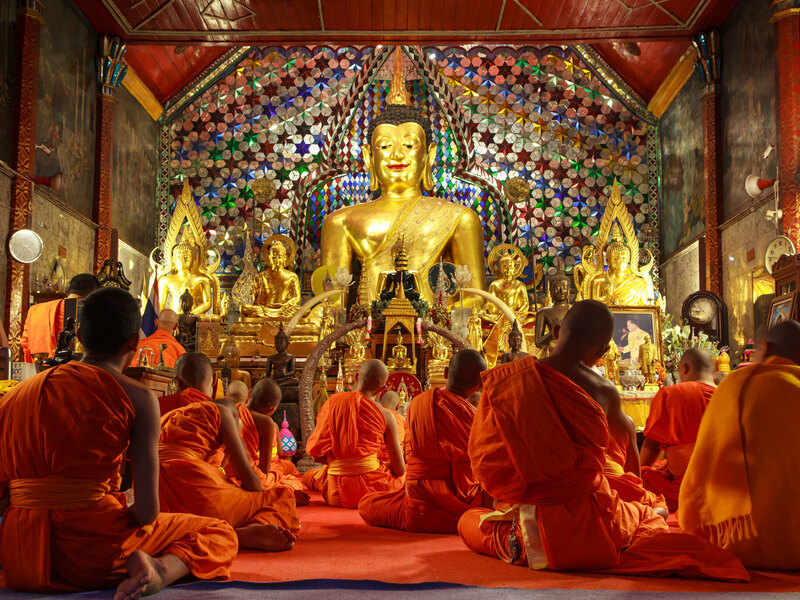 You'll also get the opportunity to meditate and chat with Buddhist monks.